Don't let the idea of project budgeting intimidate you. Before we look at how the budget is developed, it's important to understand why it's important. First, the approved budget is what drives project funding. It will tell stakeholders how much money is needed and when it is needed. Your ability to get people, equipment, and materials when they are needed are dependent on the funding provided as a result of your budget. 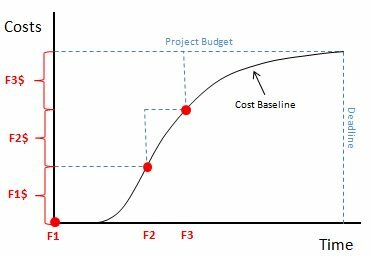 The second reason budgeting is important for your project is because it provides the basis for project cost control. By measuring the project's actual cost against the approved budget, you can determine if the project is progressing according to the plan or if corrective action is needed. This is accomplished using a cost baseline. Now that you know what a project cost budget is and why it is important, you need to know how to prepare a budget for your project. Most organizations have policies, procedures, and guidelines for handling cost budgeting. So the first step is to make sure you are familiar with your organizations budgeting processes and tools. If this is your first time handling project finances, find a controller in your organization that will help you understand how your project fits into the overall financial structures of your company. Activity cost estimates are the individual cost estimates for each activity or work package that your project will complete. For each activity, the cost estimate generally includes direct labor, materials, equipment, services, facilities, and information technology. The basis of estimates documents supporting details about the activity cost estimates. For example, how the estimates were made, assumptions and constraints, and the confidence level of each estimate. The scope baseline will let you know if there are any funding constraints that may be mandated by your organization, contracts, or other groups such as government agencies. The project schedule will be used to determine the cost budget over time. For a specified calendar period, you can combine the activity costs that are planned for that period to determine the time-phased budget. Resource calendars will let you know which resources are assigned to the project and when they are assigned. Using each rates for each resource and combining with the project schedule you can then determine resource costs over time. Contracts for products or services will be used to determine their costs and can then be included to the project budget. The cost baseline shows the total planned costs at a point in time. From the cost baseline, you can then determine your periodic funding requirements. The funding requirements are represented using the dashed steps. Funding Point 1 (F1) requires F1$, Funding Point 2 (F2) requires F2$, and Funding Point 3 (F3) requires F3$. The total project budget is F1$ + F2$ + F3$. Project budgeting is important for getting your project funded as well as keeping it controlled. To prepare your project's budget, you simply sum up the estimated costs of the individual activities or work packages. This will give you the information you need to create a cost baseline and determine your funding requirements. 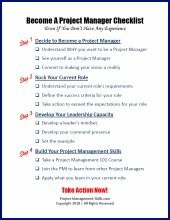 Project cost management is one of the most important aspects of project management that you need to master. Learn about project cost estimating, budgeting and control. 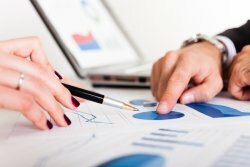 Learn which project cost estimating tools and techniques can help you develop more accurate cost estimates for your projects.